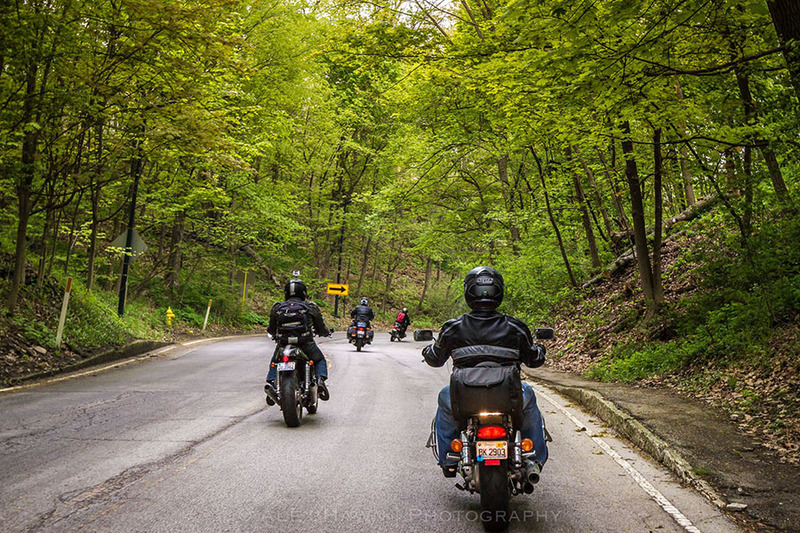 Motoworks Chicago sponsored an informal ride from Chicago to the Brewtown Rumble on Sunday, May 17, 2015. 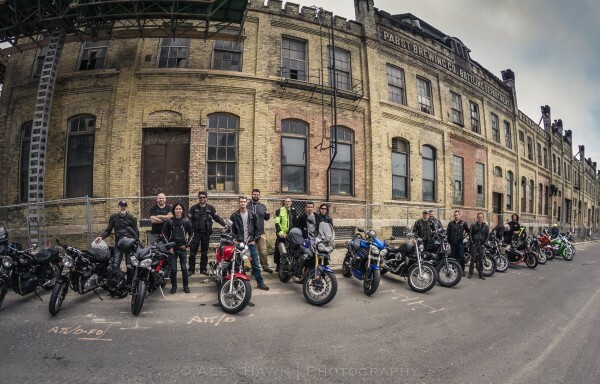 The event was a billed as new motorcycle show located near the Pabst Brewery in Milwaukee, Wisconsin. A group of Chicago riders gathered at Johnny Scheff’s shop on South Western Ave. for coffee from 8-9 am. After a short riders meeting, kickstands were up shortly after 9, and we headed over to Lake Shore Drive and took it north to Sheridan Road, following Lake Michigan through Evanston and Wilmette to the Starbucks in Sheridan Road in Winnetka. 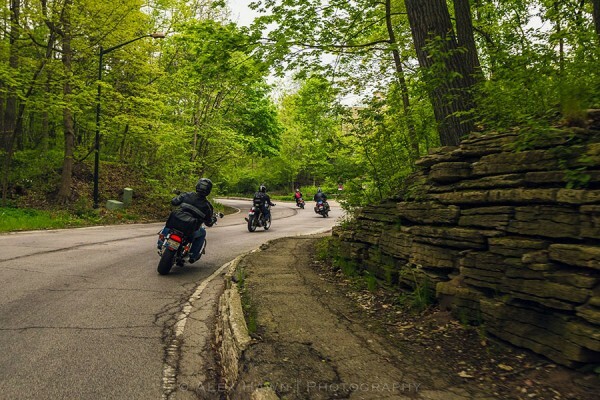 The video picks up there, where we picked up a few more riders and continued north through Glencoe, Highland Park and Lake Forest, cutting over to Route 41 and arriving at the Full Moon Family Restaurant on Skokie Highway in Lake Bluff. There are a few sections of hills and twisty turns that were especially nice to ride. I’m pretty sure we passed a few Frank Lloyd Wright houses along the way. From the Full Moon Restaurant, we got on the I-94 superslab and headed up to Milwaukee to the Brewtown Rumble event arriving around 12 noon. 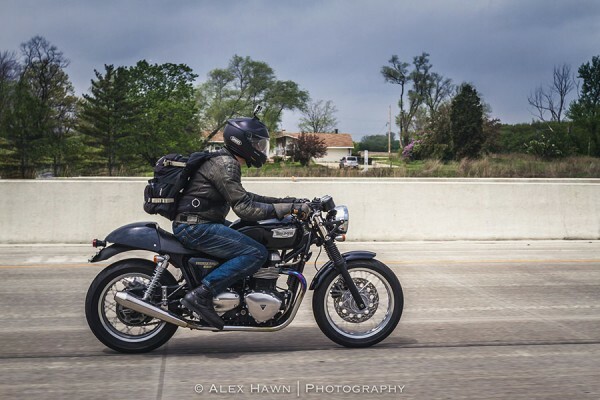 I rode the 2012 Thruxton which performed quite nicely. There were a wide variety of motorcycles in our group: Ducati, BMW, Honda, Indian, Harley and of course Triumph. Hi Randy. 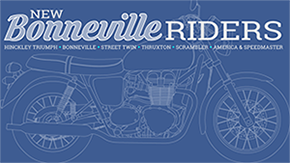 Now that you have a Bonne and a Thrux, do you prefer the regular pegs or the rearsets? What are your thoughts on the different riding positions and handling?